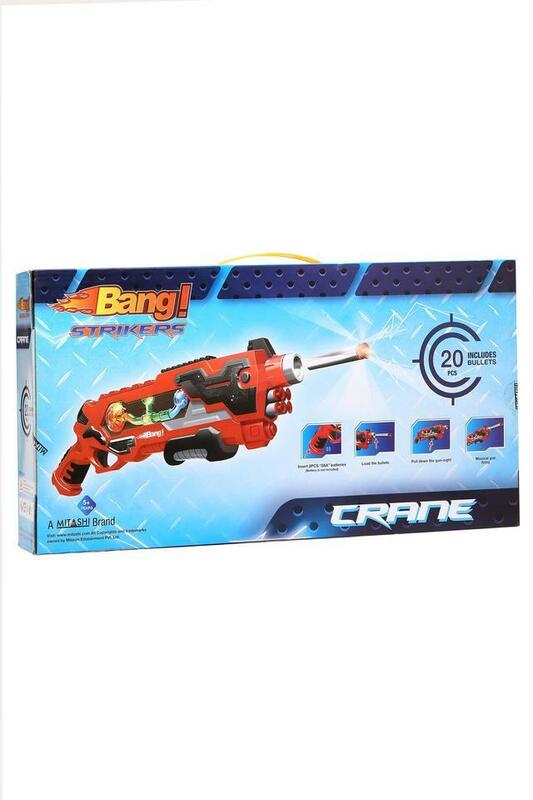 Make an exciting addition to the plaything collection of your little one with this crane bang gun from Mitashi. It comes with twenty bullets and runs on two AAA batteries. He or she just needs to load the bullets, pull the gun sight down for a musical gun firing. 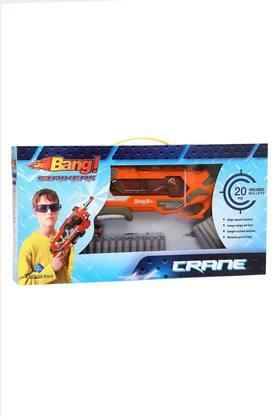 Improve the hand eye coordination of your little one by getting him or her this crane bang gun with twenty bullets. It comes with an inbuilt music that makes it all the more exciting.